Set Fire To The Rain was written by Adele Atkins & Fraser T. Smith. Level Of Ease: Fairly Easy, although you will need to know some barre chords. You can see that most of the chords for a standard Dm progression were used for this song. Remember that Dm is the relative minor of F Major which has a key signature of 1 flat - B♭. 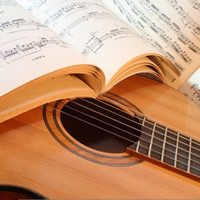 Usually a song finishes on the key chord of the song which would be Dm in this instance. Adele finishes on a C major chord which leaves you hanging, and in this instance works well. Tip of the day: If it sounds good, use it! Theory is a great tool, but don't let it stifle your creativity. Learn to rely on your ears as much as you rely on your theory. 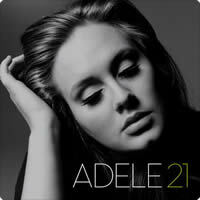 Adele chords and lyrics are property and copyright of their owners. "Set Fire To The Rain" chords and lyrics are provided for educational purposes and personal use only.